Honestly, guys, four years is too long to wait for another Enforcer album. It's true, the Swedish metallers did drop a live DVD/CD album, Live By Fire in 2015, but that was the same year for their previous studio album, From Beyond. 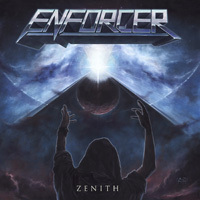 So here we are, gone for sometime, but hopefully not forgotten, Enforcer arrives with their long awaited fifth album, Zenith. There are many reasons I dig Enforcer, but the first and foremost one is rather simple. 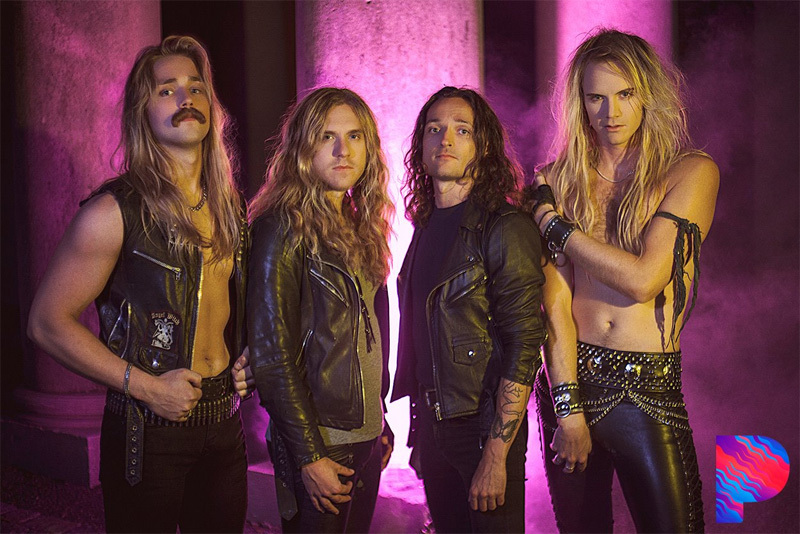 The band easily combines the best of traditional heavy metal with the glamour of Eighties LA melodic hard rock and then wrap it up in AOR accessibility. 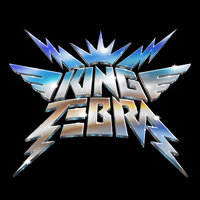 Their sound is melodic heavy metal rock bristling with twin guitar harmony and thrilling leads, steady speed, rhythm, and groove from a tight rhythm section, and soaring vocals and vocal harmony. For the songs Enforcer can deliver ambitious heavy metal rock with songs such as Die For The Devil, Sail On, and Searching For You. Alternatively, they've developed some epic heavy metal tunes with Zenith Of The Black Sun and The End Of A Universe. For the brisk One Thousand Years Of Darkness, Enforcer drops in some symphonic synths. Later, Ode To Death has parts that are heavy and thick juxtaposed with those subtle and brooding, almost doomish. Then, if only to throw you a curve ball, there's a piano driven, orchestral ballad, Regrets. Light your Zippo or turn on your smart phone flashlight. It's a fine arena anthem. All said, Enforcer's Zenith is another entertaining album of their melodic heavy metal rock. You won't be disappointed. Recommended. 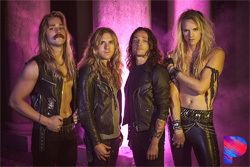 All said, Enforcer's Zenith is another entertaining album of their melodic heavy metal rock. You won't be disappointed. Recommended.